A genre revival that has taken the underground sounds by the horns, has finally start rising with a whole new generation and approaches. Aleteo, also known as zapateo, guaracheo, chancleteo and most commonly referred by those who make it house tribal (tribalero). Aleteo itself is a Colombian hybrid that blends elements of house, guarachero, venezuelan tuki, bass tribal, a dutch house. And depending which country makes it, their variations root deeper into the urban landscapes. Mexican approach is very minimal, having most of the emphasis in the percussion and drums ( which is commonly seen on jungle terror or borneo bass) Colombian goes for catchy basslines and catchy beats, the venezuelan take still goes for the raptor house signature line, while keeping it much more minimal, less saturated than the early days. 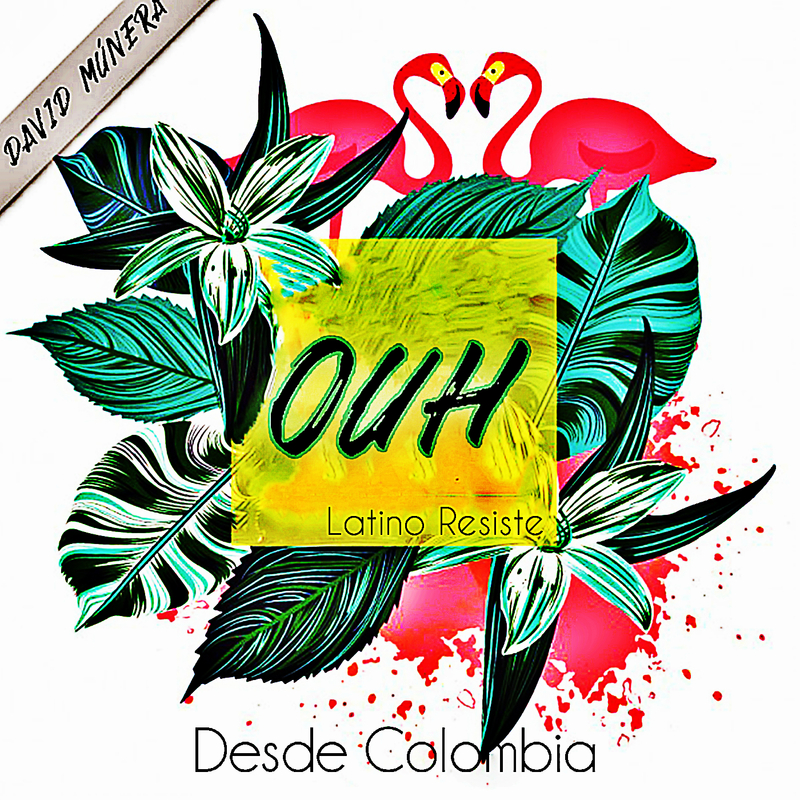 OUH is our first aleteo track from 2018, coming from Medellin’s own David Munera, one of the most promising names in the scene, who is close following the likes of Chris Salgado, Dany F, Elee Bermudez, Syrk, Tamalero, Javier Estrada and many more. Ouh is a great example of the genre that most likely will start crossfading the ever expansible EDM scenes. House has always been big in the underground, but for many reasons it was associated with a less glamorous life style than Europe, creating a huge gap between the posh’s house ( like Guetta,Swedish house Mafia, Maxwell, so on) AND what these aleteo djs’ spin.. Chris Salgado, Trivans, Mega and many more. Tribal has always been under in Mexico, and only reached viral level thanks to the masterful handle Toy Selectah did to 3ballmty; although the genre only ended up splitting into that very well produced sound, and the one that will keep the genre fresh and urban. Championed in two different fronts, Salgado, MAIWEN one, and Dj Tamalero one tribal never faded. It didn’t take much for djs to blend both, and give birth to their take of guaracheo, zapateo. On the other hand, Colombia has seen an gargantuan influx of Venezuelan migrants in the last 4 years due to their political/economical situation. Having said that, many of the people who have left, will join the forces of the ones who were already in the bottom line of the pyramid. Growing and/or living now in the city’s slums creates subcultures like in Venezuela when Changa Tuki appeared. So, it wasn’t too complicated that people who still listen to house, and more important, still produce, spin and dance to it, will add their raptor house to the existing Colombian approach. All this became not just a musical genre, it is a life style where upbeat, bouncy dance music championed by tight-dressed DJs and dancers. Both a response to and a reflection of the volatile circumstances that surrounds it, Alateo/Zapateo is often associated with low profile parties, cheap bars, and minimal attention to the dj equipment. ultimately a way to show off the talent coming out of the barrios, an escape from poverty, and a form of catharsis. Musically, it can be traced; but, of course, there is always someone who made something similar way before, so unless there is definite proof, it is better to leave that the style was just an inevitable product of the stuff many people were making like Jairo Mendez (VNZ)started in 2010, combined with DJ Tetris (MX), Tamalero (MX/USA), Javier Estrada with prehispanic guarachero and the tribal house DANY F made on his EP LA Nave (2011).